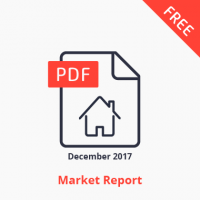 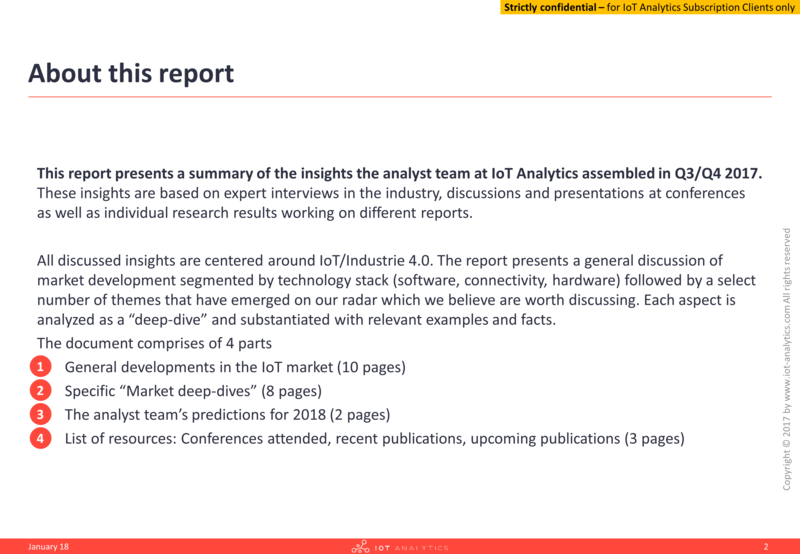 33-page PDF presenting a comprehensive overview of the 2017 IoT Market. 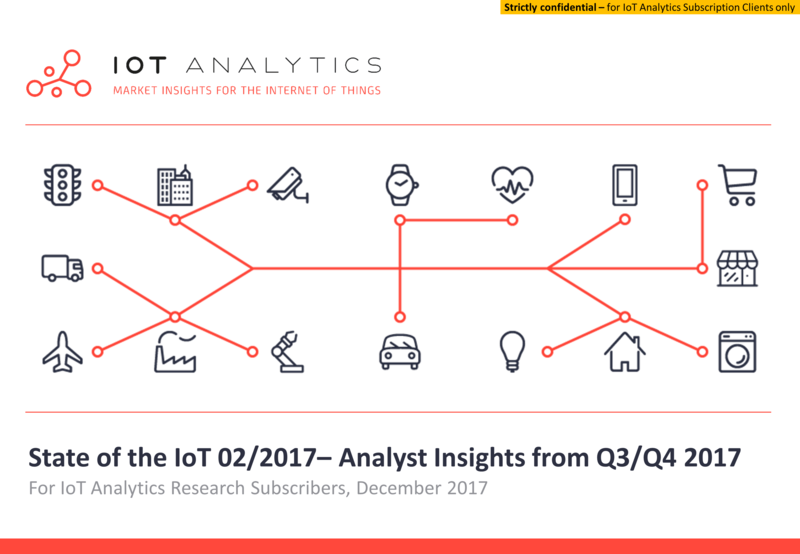 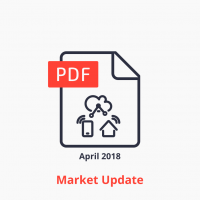 This IoT Market Report is based on insights from the whole IoT Analytics Analyst Team and was compiled for IoT Analytics subscription customers. 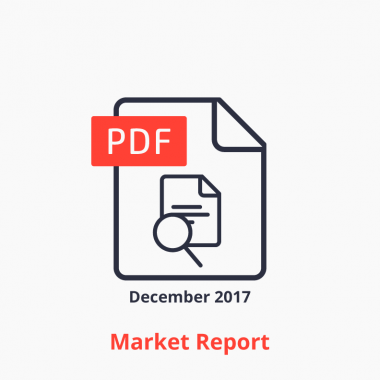 • Predictions for 2018 (6 pages) The analyst team’s predictions for 2018. 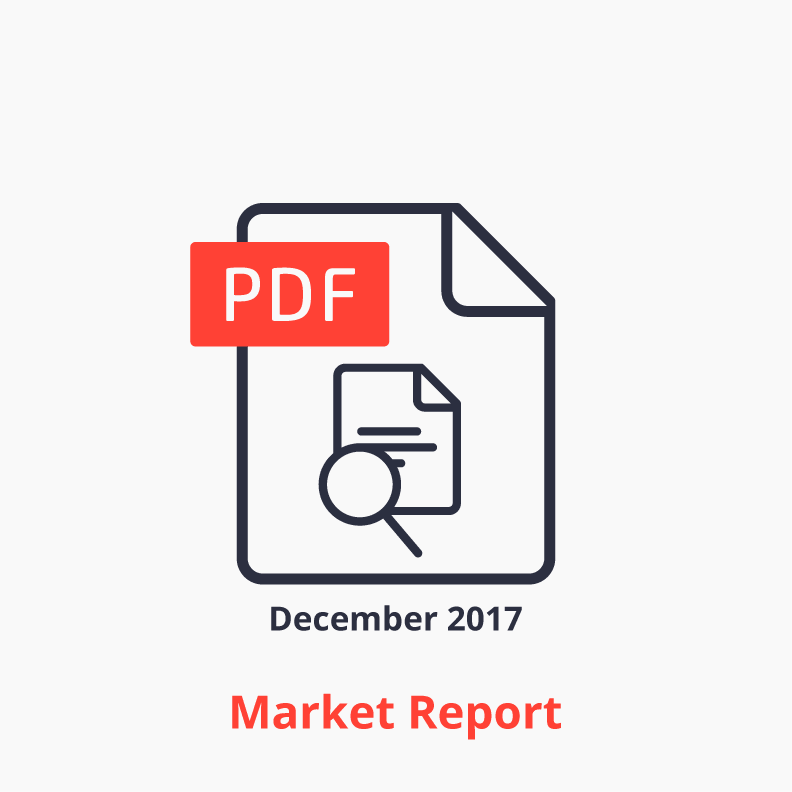 • Large roll-outs of licensed low-power technologies.